Neuro Imaging Winter Park is the private practice of Marc D. Shapiro, MD, a preeminent neuroradiologist and diagnostic radiologist. The practice is located in Winter Park, Florida, and is the only practice in Central Florida to feature a state-of-the-art equipment such as the 32 Channel Open Bore MRI. World-class institutions such as Massachusetts General Hospital or Mayo Clinic Rochester visit regularly Neuro Imaging Winter Park to see the latest and most sophisticated technologies in the field of MRI optimized. Neuro Imaging Winter Park is an international show site for Siemens’ most advanced 3T MRI. Siemens’ 32 Channel 3 Tesla Verio is the most advanced MRI technology available using combined strength of the 3T and full 32 channels of MRI system, which allows the most accurate MRI diagnosis possible. The equipment is able to detect abnormalities that are missed on other scanners. The ultra-short length, wide bore design of the Verio provides all patients, including claustrophobia and obesity) with maximum comfort. One of the main services is MR arthrography, which is a technique of imaging the tendons and ligaments of joints (most commonly the shoulder, knee, and wrist) by injecting MR contrast fluid into the joint to be imaged. With MR arthrography, the diagnostic accuracy of an MRI is markedly improved. On site sedation is also available as well as filmless imaging. 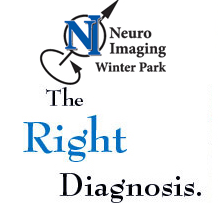 For more information about Neuro Imaging Winter Park, please visit http://www.nsiwinterpark.com/. A highly-regarded neuroradiologist with an impressive professional journey marked by numerous outstanding achievements, Marc D. Shapiro, MD, received his medical degree from the University of Kentucky – College of Medicine in Lexington, Kentucky, in 1974. Furthermore, Dr. Shapiro interned at the University of South Florida and served his residency at the University of California at Los Angeles in California and The Mount Sinai Hospital. Fellowship-trained in neuroradiology at Yale University, he is certified by the American Board of Radiology in Diagnostic Imaging and Neuroradiology. Dr. Shapiro is a distinguished member of the American Society of Neuroradiology, the International Society for Magnetic Resonance in Medicine, the Radiological Society of North America, and the American Roentgen Ray Society. He was elected Teacher of the Year by Yale Department of Radiology in 1989 and Teacher of the Year in University of Central Florida in 2013. As an author, he published chapters on spine imaging and surface coil development for MRI Clinics of North America’s edition on 3 Tesla MRI. Furthermore, Dr. Marc D. Shapiro acts as co-editor of the head and Neck Imaging issue of Radiologic Clinics of North America He frequently conducts research, writes, and publishes articles on 3T MRI in leading radiology journals. As a result of his outstanding performance in the field of neuroradiology, The International Association of HealthCare Professionals (IAHCP) has selected Dr. Marc D. Shapiro to be featured in the premier publication of The Leading Physicians of the World. Dr. Shapiro reads regularly The American Journal of Neuroradiology and dedicates to working out, playing tennis, running, and his dogs outside medical practice. He attributes his success to hard work, love for his work and passion for the field. For more information about Dr. Marc D. Shapiro, please visit https://www.findatopdoc.com/doctor/8132080-Marc-Shapiro-radiologist-Winter-Park-Florida-32792.